For the frame my hubby used door casing trim that we had taken out of this house when we began the remodeling. It is something similar to this moulding that you can find at Lowe's. 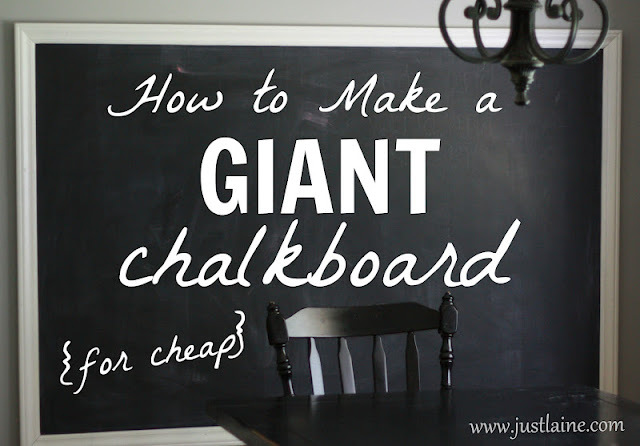 So if you have always wanted a big huge chalkboard in your home, I hope this will help! Do you have any chalkboards in your home? Did you buy it, make it, paint it on the wall? Love this, Laine. I'd love to put one in our school room somewhere. We'll see. My husband will roll his eyes over this new "must" for the room. lol! 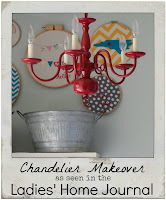 did you use spray paint chalkboard paint, the roll on can, or make your own chalkboard paint? We painted a wall in my daughters kitchen with spray paint chalkboard paint-never do this. What a mess...it drifted onto the floor and nearby wall..even though we used paper and were extremely careful. I would vote for the can paint. Great chalkboard! I decided to get a whiteboard for my home school room, because I thought it would be better for my Little Dude that struggles with writing. But, for looks, I am so sad that I didn't get a chalkboard! There is just nothing like it! Yours is fabulous, and I wish I had one too! ...the things we do for our kids! What brand chalkboard paint did you use? I would love to have my own chalkboard but I'm not sure which paint to use since I've heard sometimes it just doesn't work well. What brand of chalkboard paint did you use? I've heard some don't work as well as others. What a great idea! You have inspired me to get some chalkboard paint and make my own chalkboard! Thanks!! You are so creative! What did you use to cut/trim the Equaboard? I think I'm going to try this but we don't have a ton of tools that would cut something like that. So just curious what we should borrow or buy to cut?